There comes a time in every park goer’s day that the elements become too much for them. Some families choose to use this point as nap time and retire to their rooms for some cooling off, but what if the kids are too old for that (or you are too old for that yourself)? How do you find relief? I am not one for taking a break; more I seek entertainment and a ride that will help me cool off. I preface this will the fact I am not a thrill ride kind of person, and while they may provide relief I cannot judge them, as I do not ride them. Sure there are rides like Splash Mountain that offer instant relief, but come with walking around in wet clothing until you dry off. Personally I do not care for that, as fun as Splash Mountain is. Instead I wanted to provide you with ten of the best options for relief without getting soaked. Yo ho! Avast and all that pirate talk, come take a nice cool adventure (now with Jack Sparrow!) through the everyday life of a pirate. As one of my favorite rides this one must sadly come at the end of the list for one reason, there is a slight possibility you will get splashed. Though that is mostly based on where you are sitting and what park you are in. 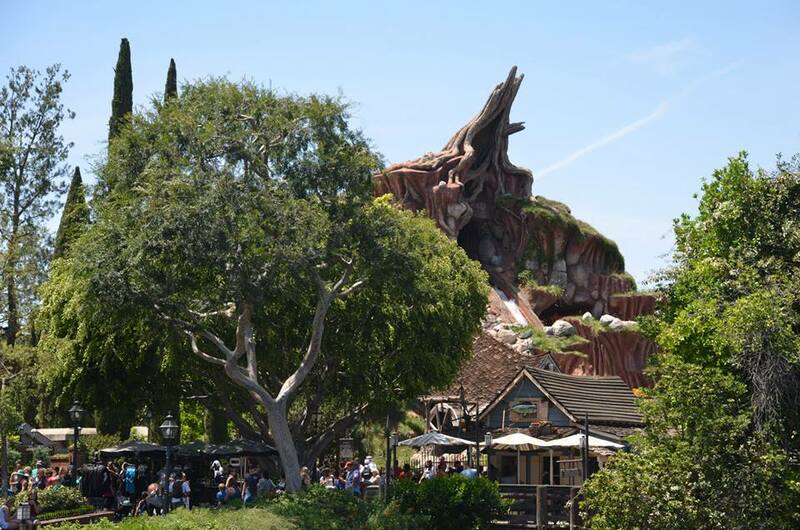 Disneyland offers a much bigger drop and longer ride due to the Blue Bayou Restaurant. Of the two it offers a longer time to enjoy the ride but a higher chance of getting wet, the line queue at times has you outside so be prepared. DisneyWorld’s line queue takes place mostly inside however offering relief from the sun (or rain in some seasons). Another indoor boat ride, because the presence of water offers a cooler climate and the ride takes place for the most part inside. A nice soothing boat ride with a pleasant song you will be singing all day long. This ride as many know takes you on a journey through the world offering you a look into different culture (and a glimpse of some hidden Disney characters). 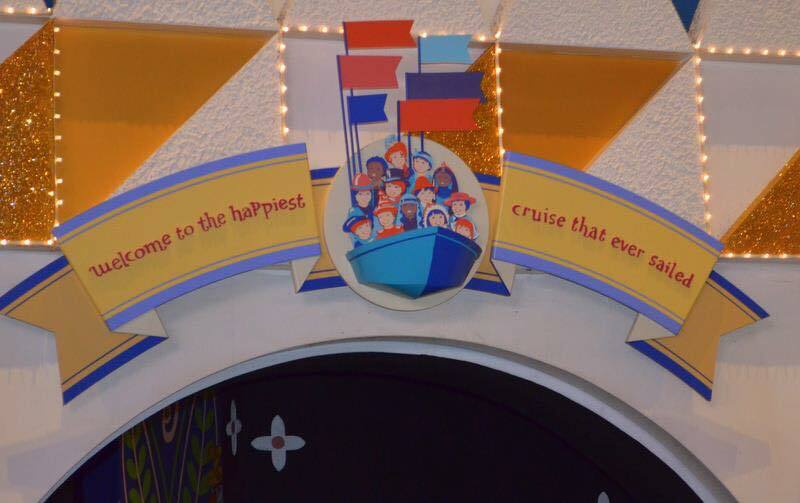 This ride is number 9 because while it keeps you plenty cool not many people love the song as much as I do but is definitely a way to keep young kids occupied, and singing…but think of what really matters, their happiness. Full of glorious puns I welcome another classic ride the Jungle Cruise. Those who love wit, the jungle, and boats find this one to be a favorite. The 8th wonder of the world is enough reason to ride this ride. 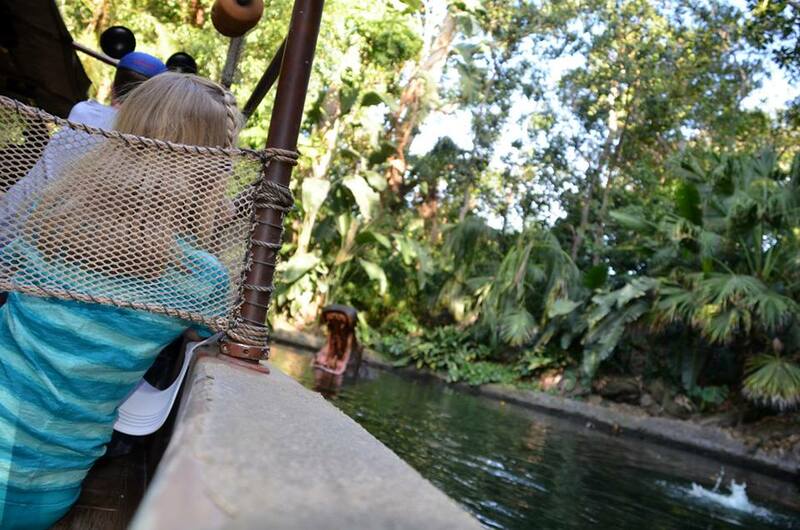 With all the lush foliage surrounding your little boat the ride is pretty cool. The only downside is the queue, Disney World has many ceiling fans in place (can’t remember if Disneyland has the same) which helps, but does not always alleviate the heat based on your position in line. Also as it is quite popular this ride is often quite busy. Peter Pan is one of the most beloved characters Disney has to offer, how do I know? Look at the line for his ride both in season and out. Perhaps one of the most popular rides in Fantasyland, it is almost always packed. A nice darker ride that keeps out the sun and takes you on a trip over London and through Neverland but I highly suggest getting a fastpass so as not to wait too long. A ride based off an old movie but a good movie. Even better is how kid friendly the ride is. A fun indoor queue awaits you before you get on the ride, this queue while being a nice dark place also provides you with a buildup to the ride’s story. Once off on your adventure to save Jessica Rabbit your cab Lenny unlocks the wheel so you can give it a spin. Quite literally, the ride gives you an option of enjoying a dizzy ride, a smoother ride, or anywhere in between. While a relatively short ride it is a nice one to cool off. Who doesn’t love Star Wars? Who doesn’t want the chance to be the star of the ride? Who doesn’t find the queue that has you walk under an AT-AT amazing? I rest my case. To make this ride more amazing the new renovations gives the system a new random programing. Each ride will be a different sequence of events. The ride also exits into a wonderful store that you can look over as well before you leave. Alright I cheated, this is not a ride, this is a show. It is however a fantastic show! With very little wait time! Filled with whimsy, magic and music this is by far one of my favorite shows (RIP Honey I Shrunk the Audience…) Obviously the theater is nice and cool with lots of comfy seating for the whole family. Be sure to also look for the Hidden Mickey while you wait for the show to start! One of the cutest rides I have seen that combine science and imagination. Fun for adults and children alike as Figment (let’s be serious Dr. Channing) takes you on a tour of the 5 senses. This charming ride brought back our beloved purple dragon and favorite imagination creation. After witty banter and a musical number the ride lets you off in ImageWorks where you can play a few games before heading out. It’s creepy, it’s dark, it’s the perfect escape from the sun and the resident ghouls are dying to see you. In all seriousness it isn’t just the ghosts leaving you with an icy chill, the ride is indoors, dark, and air-conditioned. This personal tour of the mansion will leave you cool, and perhaps a bit paler given your hosts. This ride reaches the number one spot for a few reasons. The first is honestly the line queue, I have never seen a better one. As you make your way into the rock formations you begin to immerse yourself into Ariel’s world. As you walk through you are greeted with interactive points to keep children (or adults) busy while they wait. The architecture is beautiful and the climate takes on that of an underwater cave (I had to put my sweatshirt on honestly). The ride itself takes you through Ariel’s life and is quite charming as well guiding you through several important scenes of the movie. A word of caution, though I did not experience a huge wait time I have heard it can be up to an hour. While you can fastpass this ride you do miss a lot of the queue by doing so. So there ends our list, I hope that it helps you on your next trip to the parks! We would also love to hear from you! 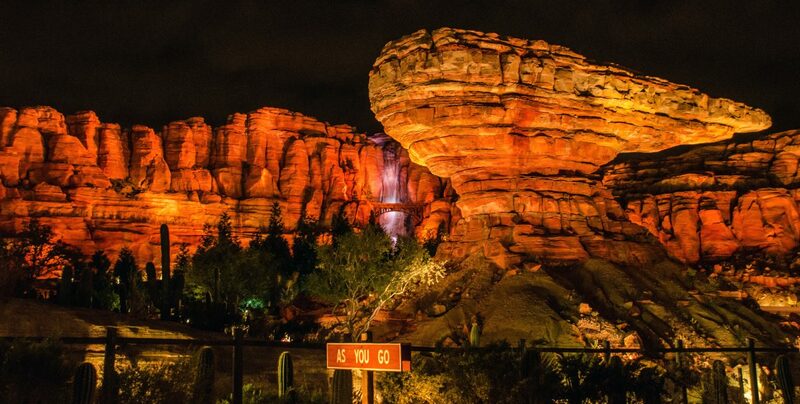 Leave a comment letting us know what your favorite ride too cool down on is! Also have a Happy New Year! Nice post! I agree with almost all of your list. 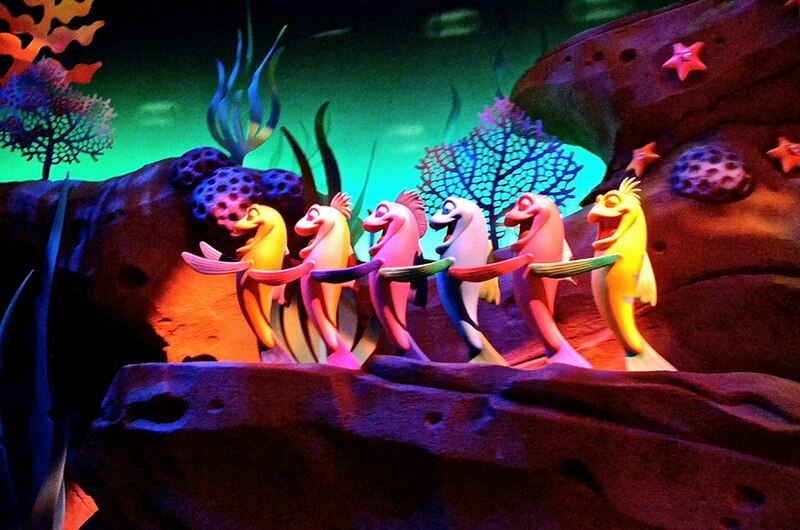 I don’t like actual Little Mermaid ride so I’d disagree there. Journey Into The Imagination is a fun pick, even though some people might hate it because the old one was so good (or so I’ve read). Two more that would have probably made my list are the PeopleMover in Magic Kingdom and the River Boats in Disneyland and Magic Kingdom. It can be a little warm in parts of those since it’s outside but you get a nice little breeze and it’s so relaxing on all three of them.